What’s Our Favorite Long-Lasting Foundation for Mature Skin? As we get older, we have found that our skin needs have changed and the skin care products that worked for us in our 30s and 40s aren’t the best solutions for our skin now. Menopause, hormonal changes, and slowed oil production can dry out the skin and accentuate fine lines and wrinkles. We’ve found that little adjustments in our beauty routine, starting with our foundation, have helped us to look our best and to age gracefully. Mature skin differs from younger skin in a few ways. Mature skin doesn’t hold onto moisture as well as it did in the past. That’s where dry skin, fine lines, laugh lines, and wrinkles come into play. 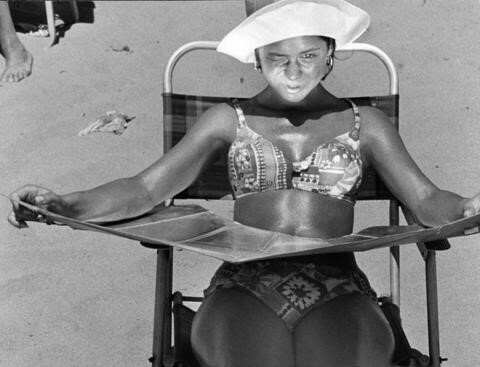 Add-in sun damage (did we really use suntan oil and foil reflectors?? ), enlarged pores, and those dreaded “age spots” and it’s clear that mature skin may benefit from products formulated with “pro-aging” ingredients. Keeping the unique needs of mature skin in mind, we created a list of attributes that we were looking for in an age-defying foundation. And the winner is…Max Factor Pan Stik Makeup. It’s our favorite because it offers all the benefits listed above, and it’s an age-defying makeup that has defied the ages on its own too. 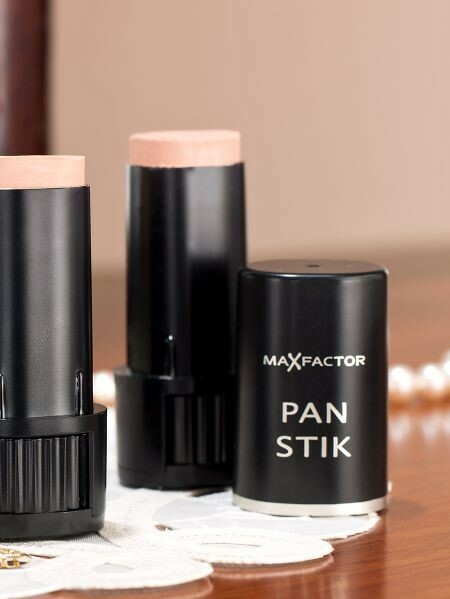 Max Factor Pan Stik started out as the original Pan-Cake Make-Up for stage and film. 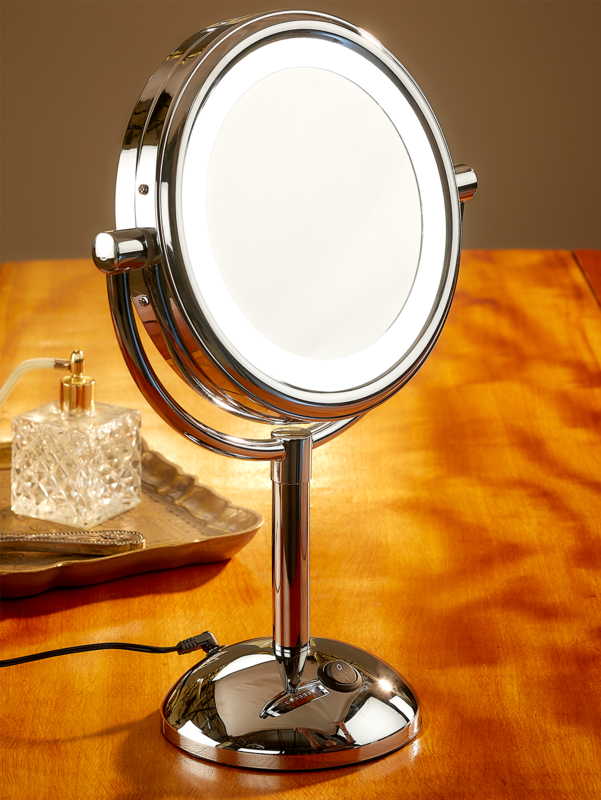 It was created by Max Factor (the founder of Max Factor Cosmetics) in the late 1930s. Originally formulated to look great on film, it turned out to be a great everyday makeup, too. 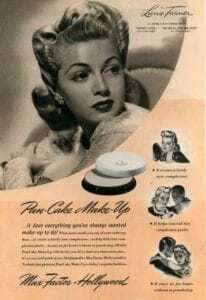 It was also one of the first cosmetics packaged in a portable pressed compact. Fast forward to 2018 and Max Factor Pan Stik Makeup. It was inspired by the original Pan-Cake Make-Up, but don’t let “cake” throw you off and make you think that this is a heavy, old-fashioned foundation. Not at all. This ultra-creamy formula glides on smoothly, helps conceal blemishes and pigmentations, and leaves behind a soft, dewy-looking complexion. The practically weightless foundation blends seamlessly and won’t settle in fine lines and wrinkles, either. It comes in a swivel-up stick that delivers buildable medium-to-full coverage, at home or on the go. Plus, it’s great for all skin types! 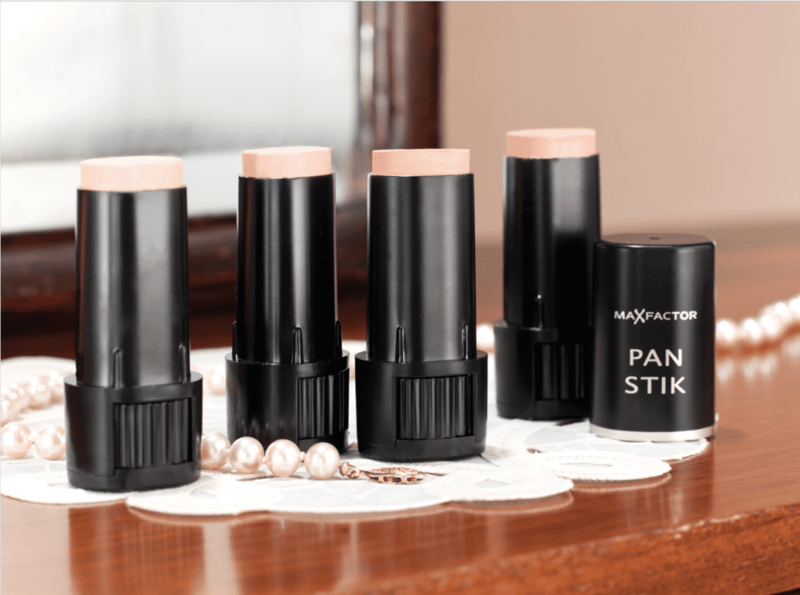 Max Factor Pan Stik Foundation doesn’t need any fussy application techniques, but we found a few shortcuts to achieving a luminous youthful glow that we wanted to share with you. Find the perfect shade by matching the correct tone to your jawline. Apply to clean, dry skin in natural light to ensure even coverage. For a smooth-looking foundation, apply a light moisture all-over your face. If you have very dry skin, exfoliate ahead of time before you apply the foundation. Use your fingers or a blending sponge for smooth, even coverage. Remember that less is more! It might be tempting to layer on foundation in an attempt to conceal wrinkles, blemishes, and pigmentations, but a lighter layer offers plenty of coverage and helps to blur imperfections…while keeping your look fresh and natural. 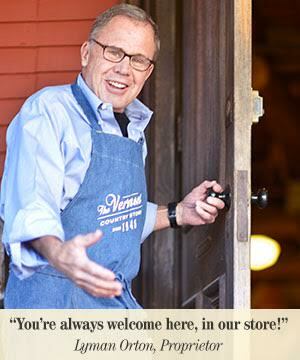 Posted in Tried & True Solutions.